We often talk about generating leads via the Internet. In fact, we just recently published a blog about four great video ideas that any real estate agent can use to engage individuals, build their brand, and generate leads. In this blog, we want to broaden the idea of Internet lead generation. 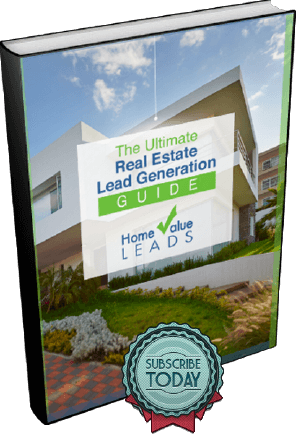 Check out 5 ways, real estate agents can use the Internet to generate sales leads. We must first say that we don’t believe in pay-per-click like we used to because PPC costs a lot of money, has built an army of fraudsters, and doesn’t turn into real leads as much as actual social engagement. Social engagement’s not as easy as you might think, though. Check out information on how to use both your website as well as social media to generate Internet leads. You want to have a website. Make sure your website is friendly, allows potential home buyers and sellers to leave their information, and gives you plenty of pats on the back without making you come across as cocky. Definitely add testimonials to your site, but don’t overdo it, and don’t make up your own testimonials. Around 66% of today’s first time buyers are millennials. They’re the one generation that will notice when real estate agents are insincere. Most likely, you’ll only need to create the following 4 social media accounts. Make sure that all 4 social media accounts listed here go both ways: to your website and from your website to the social media account. You should also create a LinkedIn account even though it might be difficult to generate leads on LinkedIn, and a Twitter account. Use both LinkedIn and Twitter to build your brand as a real estate industry expert. Market yourself on Facebook. Although 66% of first-time home buyers are millenials, who do you think makes up the highest-percentage of home sellers? Not millennials. Everyone knows that the millenials’ parents use Facebook. You want to generate home selling leads, which means you must have a Facebook presence. Millenials use Snapchat. Because millennials make up the bulk of the home buying audience, you must create a Snapchat account. Stick to social media norms, engage and educate without the hard-selling approach, and you’ll get more millennials following you on Snapchat than you ever thought possible. Create your own YouTube Channel. Start posting videos, but only do so when you’re comfortable. While you get up to speed on YouTube, educate yourself as much as you can about how other real estate agents made effective YouTube channels. Instagram’s become almost more popular than Facebook. You must post photos and even small 15-second videos at least every other day on Instagram. If you’re not active, you can’t develop a presence. Make sure that you only post high-quality photos and videos on Instagram. If you decide to post something that’s difficult to understand what it is, you’ve just wasted a post and can come across as amateurish. The Internet can be a valuable way to generate leads. Just make sure you understand its limitations. The best way to generate leads via the Internet is through your own website and social media. Again, be aware of how both your website and social media accounts are limited. Also, try to have fun with it. Positivity can take you a long way online.